[WP] In a world filled with magical weapons, you encounter a grizzled, old veteran with nothing but a simple iron blade by his side. Mikael trudged his way through the undergrowth of the forest. The spongy dirt was further softened by the fallen pine needles and he took satisfaction in feeling the earth give way ever-so-slightly beneath him with each step. The bramble was thick and he cleared it as efficiently as he could with only his gauntleted, right hand. His left he kept by his waist gripped on the hilt of his ancestral sword, DOOMSBANE. He’d studied swordsmanship since he was a child and had trained with many different enchanted blades. Some were said to be a boon to valor; others were said to be imbued with light so that they might more effectively smite the mythical forces of dark -should they ever rise again. He had settled on this particular sword some time ago and it was said to ward off death for the wielder. That the engraved leaf motifs on the blade and the green reticulations on the hilt pleased him on an aesthetic level was an added allure that was simply coincidental. Wielding DOOMSBANE, he had allowed, even gently encouraged his bannermen, squires, and subjects to refer to him as THE IMMORTAL KNIGHT, or, more poetically, HE OF THE ENDURING VERDANCE in reference to both the sword and the green cloak he wore over his emerald-encrusted plate. He trudged on with a sense of purpose as if on some great mission or undertaking. In fact, he was on a mission of some import, even if only in his own mind, for he felt powerful in these woods and feeling powerful was important to him. “What better place to cultivate a regal presence”, he thought “than in these guarded woods where my family rules and where I am the mightiest denizen? Were anyone to surreptitiously observe me on this expedition could they but doubt my might? For, clad as I am, I appear less a man and more similar to the forest, were it to take the form of a man.” This thought brought a smile to his face and a further enthusiasm to his trudging. The smile spread wider across his face subverting the practiced stoicism of his visage somewhat to his chagrin. But this childish delight in fanciful imaginings he rationalized: “One mustn’t be stoic all the time, lest life become less joyous. Besides, all legendary knights were ordinary men whose legends were embellishments. Still, their well-wrought legends served to inspire subsequent generations and I can do the same.” Thinking this reassured him and made him feel that he had a good understanding of how the world worked, an understanding which hadn’t soured him with cynicism. At length though, the novelty of these thoughts wore off and the stoicism returned to his face. 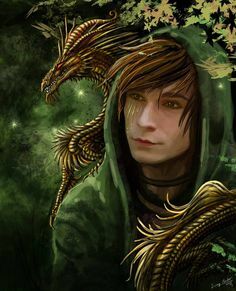 He decided he would head to the clearing in the center of the woods with the tall pine he had played in since he was a boy, and from there he would loop back to his home. As he came upon the clearing he heard the dull yet brassy sound of metal plates falling to the ground. He froze and his right hand quickly moved to DOOMSBANE. Slowly his left hand moved to the enchanted dagger, SWIFTWALKER, sheathed in the small of his back. The latter was said to grant swiftness and stealth to its bearer and at this moment he was glad to have brought it. Making his way furtively closer to the clearing he espied the figure of an older man through the boughs and observed him in silence while the man finished unburdening himself of his armor then sat drinking water from a skin. Mikael observed the man thusly for several minutes. Nervous as he was to approach this interloper, his impatience for some definitive result finally reached a crescendo and impelled him forward. Before he knew it he was walking boldly into the clearing heedless of the noise he was making. “Hail fellow!”, Mikael called out with a confidence he didn’t completely feel. The man turned to him without surprise and allowed a benevolent half-smirk. He attempted to rise but Mikael stopped him. “No, pray rest. We needn’t stand on ceremony in this private place.” The man nodded in appreciation. “Peace, friend -there is no impetus here for a hastened departure. Take such time as you will.” The man nodded and smiled in appreciation again and took another drink from his skin. As he lowered it he wiped his mouth with the tattered sleeve of his worn tunic. The boy studied the man; He wore a patch over his right eye which couldn’t completely cover a vertical scar that ran from forehead to cheek. His left eye was a small and narrow slit with a piercing dot for a pupil and was sunken into his head to a degree that it made his forehead and features seem to protrude. 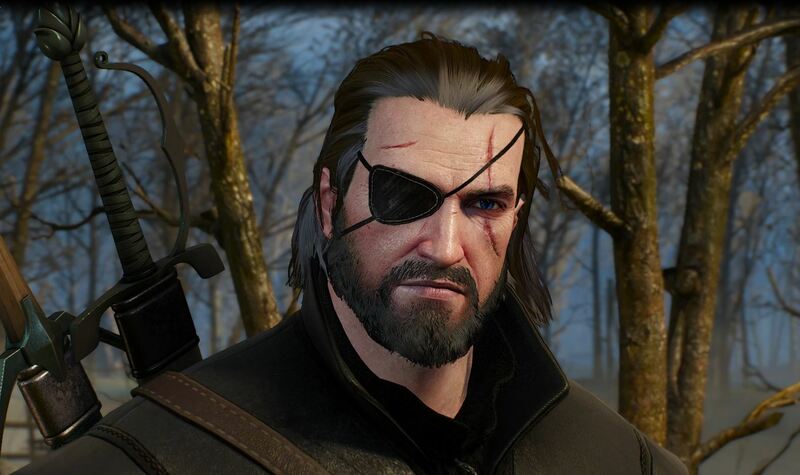 His hair was grey and seasoned, the same color as his bristly beard which was neat and medium length. His body, though worn and tired, alluded to previous might and ferocity, his gaunt hands still looked as if they carried the strength to kill a man. 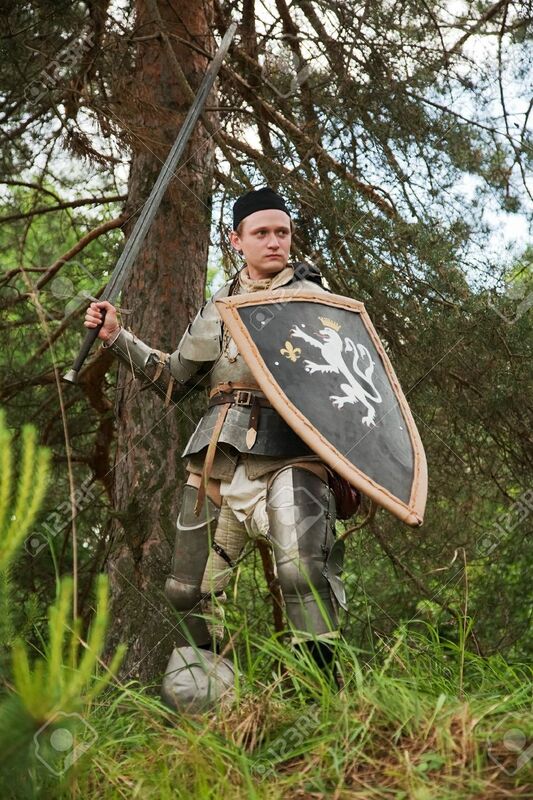 His armor told a similar tale: The plates were dull and unpolished, bearing scratches, dents and stains, though no rust. The leather of his armor bore holes which had gone un-mended for some time and the straps looked like they might give way. The man’s sword however, seemed to be faring slightly better. Certainly it was chipped and pitted in places but it still had the shine and edge of a well-maintained implement of war. It sat sheath-less on the grass beside the man attached to his doffed belt through a loop around the base of the blade near the hilt. Mikael took this all in and it troubled him on a level below his conscious thoughts. He began to resent this man without even knowing why. His very existence was simply not congruent with Mikael’s outlook on life and the world, and his presence stirred up Mikael’s most repressed insecurities. “You’re green.” -The man’s abrupt question pulled Mikael out of his thoughts. Or was it a question? It seemed to him almost accusatory. “….yes…” Mikael responded warily. He decided not to elucidate upon his more poetic appellations. “It’s good,” the man responded. “A good color for these parts.” He made a small gesture with his right hand, indicating the woods around them. While Mikael appreciated the utility of his green garments in the woods, this utility had been at best an ancillary benefit and at worst an afterthought. This grizzled old man brought this useful quality of the clothing up as if it were the most important aspect of it though, and being praised for the wrong reason made Mikael feel like a fraud, a pretender at war. Also, the man’s seemingly willful overlooking of the impractical gems which adorned his plate felt like condescension. “I care little for concealment; it is but a coward’s way to prolong his miserable life.” Mikael dismissively responded. This almost satisfied Mikael and his body momentarily relaxed, but he noticed that the man was still seated holding his skin. This too could have very easily been perceived as further evidence of the man’s impertinence toward his betters, but Mikael saw it as a greater insult: The man was not intimidated by him and felt the situation didn’t merit reaching for his sword. The man stared a moment longer and then rose slowly, helping himself up with his left hand. He was still out of breath but the look on his face was the picture of amused tranquility. He stood motionless staring just below Mikael’s gaze with his hands at his sides, the right one still holding the skin. “PICK UP YOUR SWORD!” Mikael yelled shrilly. The man met Mikael’s gaze and Mikael thought he saw a slight smirk. His words words cut short by Mikael quickly drawing DOOMSBANE and sticking its point toward the man. For a second which seemed like an eternity for the man and longer still for the boy, he kept staring. Then, as he sensed Mikael was about to react to his inaction he dropped the skin from his right hand, averting for the moment Mikael’s next outburst, and bent to pick up his sword. He bent slowly at the waist and grunted slightly at the effort. As he bent Mikael instinctively stepped back several paces out of fear, although he told himself that giving his opponent space to compose himself was the chivalrous thing to do. “Is this how it all ends?” the man thought to himself as he slowly bent. “A lifetime of fierce campaigning, attaining justice for widows and children, and punishing those who would prey upon the defenseless, only to be struck down by this young fool whose father’s army I served in so well? The man allowed a slight smirk at this thought but made sure it was out of the boy’s view. The man gripped his belt with his left hand and the hilt of his sword with his right. He paused for a second and the feeling of the sword in his hand stirred something in him which had been repressed for years by unquestioning obedience and fealty. At this thought the man swiftly pulled his hideous sword from the leather loop on his belt and lunged toward the boy with unexpected speed, both hands wrapped around the hilt as a primal and savage war cry issued from his lungs. The first arrow hit him in the stomach and his screaming became incredibly painful yet didn’t abate. He proceeded forward and kept closing the distance between himself and the boy, who at that point had turned white and had dropped his sword and perhaps more. The second and third arrows came in close succession piercing his throat and just underneath his right shoulder-blade respectively. He stumbled at these strikes and his screaming became a frothy, hissing, gargle which sprayed the boy with blood and sputum as the man dropped to his knee and fell forward still clutching the sword with both hands. The fall snapped the arrow in his stomach, and the arrow in his neck acted to turn his head grotesquely to the right as it made contact with the ground, leaving the patched eye pointed upward, covered but somehow still staring at the boy above a bloody and contemptuous grin. The arrow in the man’s back stuck straight up and seemed to serve as a grave marker grimmer than grey granite. The boy was stunned and stared at the dying body of this once fierce man. He could hear the man’s death rattle; or was it air escaping from his pierced throat? It terrified Mikael either way and he was glad when silence and three members of his father’s elite guard filled the clearing. As the three scouts approached the boy from the surrounding woods, he regained some of his composure. “You alrite, M’lord?” the captain asked. The boy gulped involuntarily. The two junior scouts looked at each other and then at their captain who never turned his attention from Mikael. “We were on a routine patrol, M’lord and heard shouting,” he responded flatly. Mikael knew it was a lie and knew that these men had been assigned to secretly follow and protect him. He was insulted by this and took it as an affront to his valor. He wanted to berate these men for interfering in his duel and threaten them with reprimands but he suddenly felt very tired. The clouds had cleared and the sun was beating down on him. His breastplate felt heavy and his cloak was causing him to sweat. His mouth too felt dry and he looked thirstily at the dead man’s still-bulging water skin. “No.” he thought. “He would just smirk at me from beyond.” He looked to the captain and indicated to the body with his hand. “Take care of this mess and don’t follow me home on pain of death.” He turned around and began walking abruptly away. He hadn’t gotten more than five steps when the captain addressed him. Mikael whirled on him exhausted and irritated, with an expectant look in his eye. “Your sword,” the captain continued in a quiet and meek tone with his eyes cast downward. Mikael saw that he had left DOOMSBANE on the ground and that its fine blade, now sullied with blood and dirt, was pinned down under the rough sword of the dead man. Mikael steeled himself and walked over to the sword, grabbed the hilt and pulled it up off the ground causing the two blades two rub together and issue a piercing and unsettling grinding shriek. Mikael stood up and sheathed DOOMSBANE without wiping it clean. He noticed the looks of discomfort the men wore on their faces and decided he would attribute it to similar revulsion at the sound of the blades rubbing together. He turned around and walked home.